As expected, Apple has announced its own mapping solution for iOS 6, featuring real-time traffic conditions, turn-by-turn navigation, Yelp integration, vector graphics, and 3D flyovers. The new Maps app, due out this fall with iOS 6, means the end of the Google Maps-powered app that iOS devices have used since 2007. For iOS users, this news comes not a moment too soon--many of the features Apple announced Monday have been available on Google Maps for Android for years. Apple's break with Google means the iPhone maker can finally offer significant improvements to Maps on iOS instead of relying on a reluctant partner/competitor to bring new maps features to Apple devices. If you have an iOS device, chances are the new Maps app will be arriving on your handset, since nearly every popular iOS device in use today (with the exception of the original iPad) is getting iOS 6. 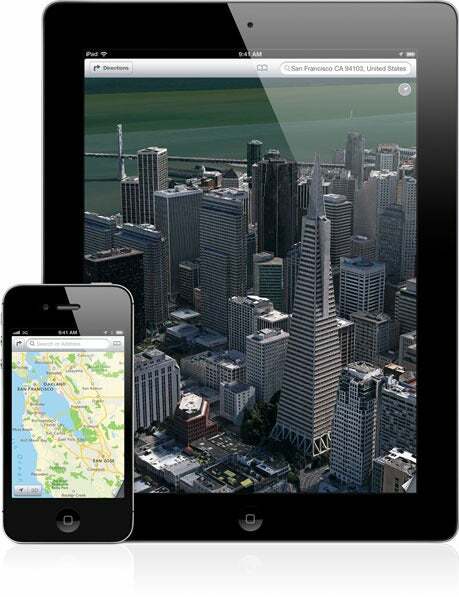 Apple introduced the new Maps app during the keynote address at the company's Worldwide Developer's Conference (WWDC) in San Francisco. Here's how the new Apple-designed Maps app matches up to the old Google-powered one. There are several new additions to the iOS Maps app, including a visual redesign that uses vector-based graphics instead of bitmap images. Vector graphics are drawn by the device based on a set of instructions, instead of loaded from a remote server. This change means that it will be easier for users to pan across a map quickly, without having to wait for new map images to load every few seconds. Google introduced vector graphics for Google Maps for Android in 2010. Apple has also integrated real-time traffic information and turn-by-turn navigation into its new Maps app. There are numerous third-party apps on iOS that offer turn-by-turn navigation, but having a baked-in version is slowly becoming the standard. Nokia has offered this option with its smartphones for some time, and Google added the capability for Android handsets in 2009. The new Maps app will also include local information for more than 100 million businesses worldwide at launch, as well as integrated Yelp reviews. Apple first integrated Yelp information into the iPhone with the introduction of Siri on the iPhone 4S. Similar to the recently announced Google Maps overhaul, Apple's maps in iOS will be getting photo-realistic 3D flyovers for major urban areas across the world. 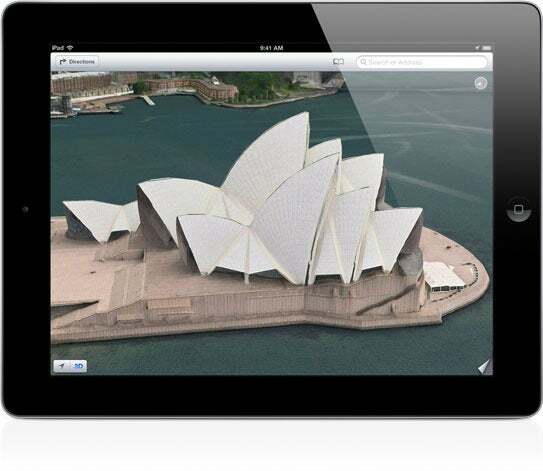 However, Google's 3D flyovers are actual images, while Apple appears to be using detailed and lifelike computer-generated models. 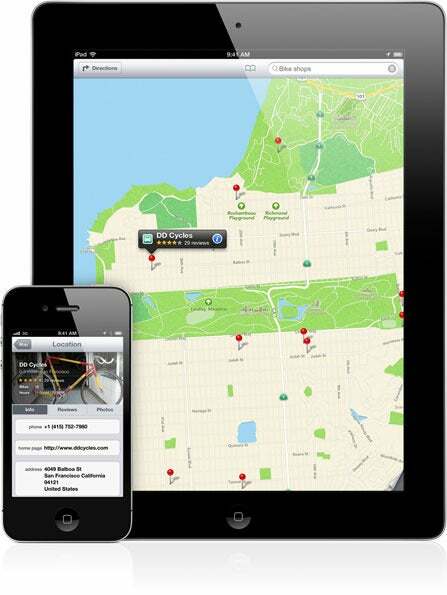 As mentioned earlier, Apple will be offering local information for more than 100 million businesses worldwide. Maps for iOS already offers local information, but we'll have to wait for the final product to see if the new Maps app matches up to the current Google-powered local listings. Apple is also making a big deal about Siri integration with the new Maps app. The thing is, Siri was already integrated with Maps--allowing users to say things such as "show me the nearest coffee shop," and see their results on a map. In iOS 6, however, when users ask Siri for directions to a coffee shop the Maps app will also be able to supply turn-by-turn navigation, instead of just directions. Google added voice command navigation in Google Maps for Android in 2010. Apple didn't come right out and say this, but it's a good bet that Google's Street View feature will be gone in iOS 6. Maps will also be losing walking and transit directions, but Apple said during the WWDC keynote that it plans to incorporate third-party solutions into the Maps app for metro transit information.